Evergreen content is one of the most valuable assets a website or blog can have. It will not only help you increase your organic traffic but it can also guarantee long term success in the World of Internet marketing. When you start a website or blog it is common to wonder what kind of content to publish so that it will get you more organic traffic. There are many parameters to take into account like type of content (text, images, videos), length (should I write short or long posts? ), how often to publish, how to choose your article titles and many more. A very important factor that many publishers don’t follow and this often leads to failure is that they underestimate the necessity of publishing evergreen content. Evergreen content is what will differentiate your website or blog from the rest and it is the only way to build a solid foundation that can be expanded and become stronger over time. If this is a bit confusing, don’t worry read on and you will understand later why and how evergreen content is the basis for a website’s long term success. It is useful – Not all original content is useful. When you read an article that is considered as ‘evergreen content’, you should learn something from it. It’s relevant – Meaning it is not binded on a specific time period but it’s relevant whenever you read it. It’s optimized – In other words it is published in a web site that follows some basic SEO optimization rules. It’s not too short – Usually ‘evergreen content’ is not short (200-300 words) but it’s detailed and informative. It is searchable – For all the above to have a real value, the topic of evergreen content needs to be something users search for in Google otherwise even if you rank high in the SERPS, you won’t receive any visits to your website. Anything that does not comply will ALL the above rules cannot be considered as ‘evergreen content’. They are useful since they provide a solution or answer to a problem. They are always relevant. An article on ‘How to lose 10 pounds’ will always be relevant whether you read it now or in 5 years. Good ‘how to’ articles are detailed, giving you the exact steps (sometimes with images and video) on how to solve a problem. People like to search for ‘How to’ articles, this is the beauty of the Internet. Anything you want to do or learn just search for it. Provided that the content is unique together with some work on SEO optimization, ‘how to’ articles are the perfect example of evergreen content. Note: Another nice example that satisfies all the above criteria is the article you are reading now. Other type of articles (also content in general including images, audio and video), that are in the evergreen category are: lists, tips, wikipedia style content, comparison articles, step-by-step guides and storytelling. What is not considered evergreen content and why? ‘News’ – these type of articles are not evergreen content because even if they satisfy 4 of the 5 rules (unique, detailed, useful, seo optimized), they fail in relevancy. A ‘news’ article is relevant only for a specific period of time. ‘Fashion and technology articles’ – They cease to be relevant in a short period of time. For example I may write a great review of iPhone 6s but this will be obsolete in a few years and nobody will care or want to read about a mobile model that is out of date. ‘Statistical data and case studies based on time period’ – Not a lot of people want to read today a case study on how banks were affected by the millenium bug or about the percentage of people that were using twitter in 2005. How evergreen content increases your organic traffic? Non evergreen content is not bad, don’t get me wrong. People want to read news, celebrity gossip, fashion, technical reviews etc and fortunately there are thousands of websites, publishers and reporters doing that every minute. What evergreen content will do for you as a blogger or website owner, is to help you make a better use of your time. I take it for granted that the time you can devote on your blog, or website is limited and you want to make use of that time (or paid resources if you outsource content publishing) in the best possible way and evergreen content is the answer to your time constraints problem. If you have unlimited time then by all means do all types of content but if your time is limited then better spend it on something that will bring you traffic and income (depending on your monetization methods) for years to come. 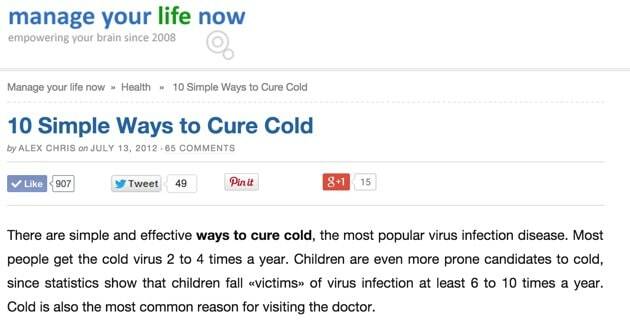 Article published in 2012 with title “10 Simple Ways to Cure cold”. Ranks in the first page of Google for 3 years. 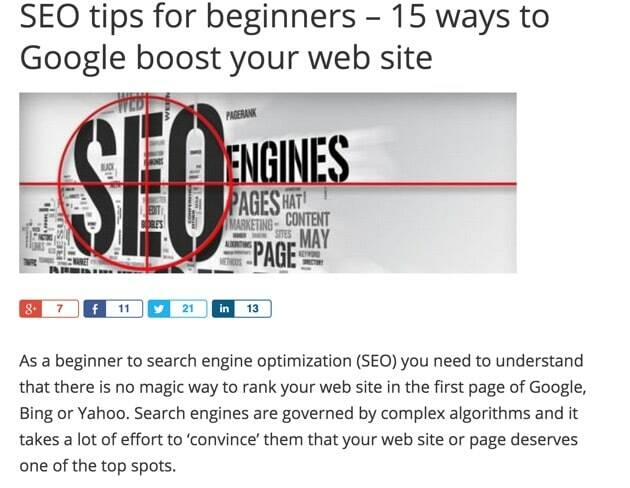 Article on SEO published in 2013 with title “SEO tips for beginners”. Ranks in the first page of Google for the last year. 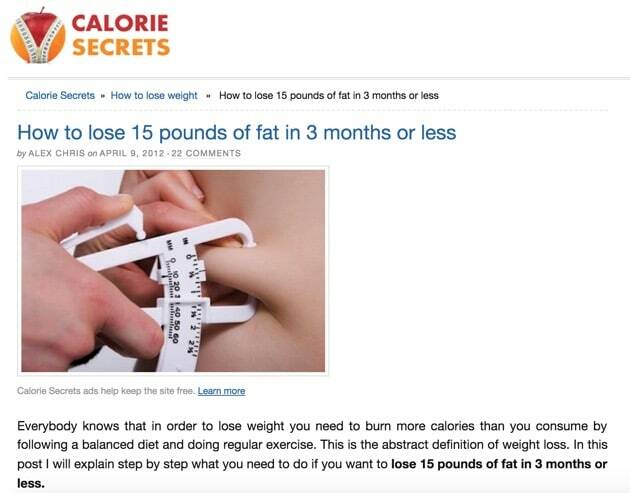 Article published in 2012 with title “How to lose 15 pounds”. Ranks in the first page of Google for the last 3 years. The list of examples is big but just wanted to show you the power of evergreen content from 3 different websites in totally different niches to help you understand why evergreen content can help you create a strong a solid foundation which can be expanded by publishing more evergreen content. How does evergreen content creates organic traffic? Evergreen content will help you rank higher in Google search results because it satisfies all quality criteria set by Google when ranking web pages. Yes, Google is always looking for the most relevant content to present to users but it is also searching the web to find content that is unique and original, detailed, informative and proven to be useful to users. By applying basic on-page optimization techniques on the page that hosts the content and do you do your promotion correctly (think social media), sooner or later you will start receiving the award from your hard work which is no other than increase in organic traffic. The more organic traffic you get, the more money you can make from adsense or any other monetization method you choose and the more important your website becomes in the eyes of Google and other search engines. 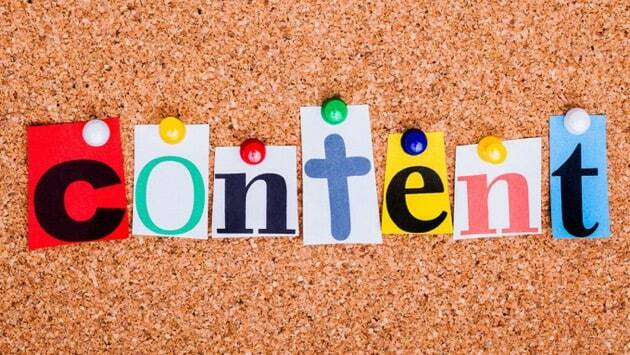 How to ensure that your content stays evergreen? There are cases that content has all the characteristics of evergreen but there is a possibility over time to become less relevant. For example last month I published a post on “how adsense works” and while I wrote it with the intention of becoming an evergreen post (if I can use this term), it may become outdated if adsense changes the way it works in the near future. The solution to this problem is to make sure that you review your articles and make changes to them so that they are always relevant. When doing so, avoid changing the article as a whole (this may have a negative impact on its rankings) but try to make minor changed to fix any issues or references that may be wrong or out of date. Should you mix evergreen content and non-evergreen content together? Definitely. A good website has all types of content including up-to date content. Evergreen content will help you establish a good presence in search engine results pages and non-evergreen content to attract visitors looking for current trends (especially from social media networks). Even for ‘News / fashion’ websites, you can use evergreen content to elaborate more on trending topics. For example, if you are posting news about celebrities and you have the post “Look how Kim looks after losing 10 pounds”, you can also write a post “How to lose weight like Kim” and make it closer to evergreen but within your website’s context. If you have a blog, website, corporate blog and want to gradually start building your organic traffic, raise Google trust and create a website that will have useful content for years to come, then the answer is in evergreen content. It does take more time and effort to create it but the benefits and gains are also long term. The article regarding evergreen content is really nicely written. I personally overwhelmed to read the article. It is a guide to beginners.. Hope anyone can get affluent information to make SEO friendly evergreen articles from this presentation. 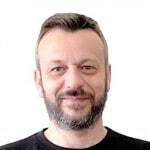 Thanks the writer Alex Chris for his outstanding efforts to SEO related people. Thank you for your comment. Indeed my intention was to help beginners understand the importance of evergreen content for their blog growth. Hm, I wonder. If the definition of evergreen changes, then will this article still be considered evergreen? Haha, anways, definitely enjoyed the read Alex. I feel like I’ve always understood what evergreen content was, I just never quite saw a concrete definition on it. I think you defined it quite well. Thank you for that. Got to add this to my kifi to make sure I take a look back when I need. Good point! We don’t know how the web will evolve in the next 5 or 10 years but I remember other people talking about evergreen content 10 years ago and their advice is still valid today. I really like your language and how you explain something. I am quite new and try to get traffic on my website. I definitely need more time! I have so many ideas to write down evergreen contents (I hope it is) and have to learn all about traffic and linking and social media! I have fun but starting is hard! Nevertheless thank you and I hope I can learn a lot more from your experiences! Good job! Thank you for your comment. If you are starting out now the recipe is simple: write good evergreen content, promote it socially and be patient. New blogs take time to take off but there is nothing stopping you from making it work. Well, I am always a big fan of writing high quality content, which really helps increasing social traffic, if content is worth sharing and then, with some reputation,, the flow of natural backlinks comes in. Although a time consuming process, but a pure white hat method to gain organic traffic. It is a time consuming process indeed but its the only way to achieve good results in the long run without worrying about Google updates. Its the way to go. 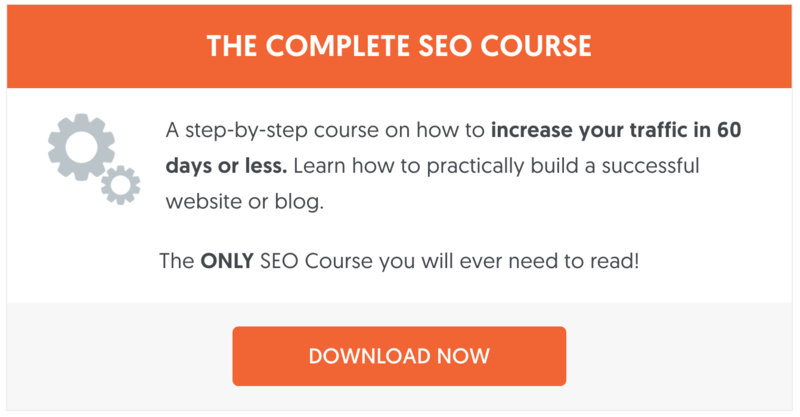 First of all….Very Thanks, to you to wrote this good content about increase website traffic. I feel like I’ve always understand your each word about how to use evergreen and non-evergreen content to increase website traffic and definitely enjoyed the read. I think you defined it very well…. And again,Thank you sir and I hope I can learn a lot more from you. Evergreen contents like how to posts, DIY posts, list posts, tutorial posts, interview roundup posts work great and those are life time assets for any company website or blog because in long run those will attract more visitors and back-links to the site and eventually boost the SEO and ranking of the entire website.